Enhance an incident by adding a link to an external post-mortem. Since post-mortems are usually detailed reports that may contain media content or external resources, we recommend creating the post-mortem on your blog and then linking to it from the incident on your status page. 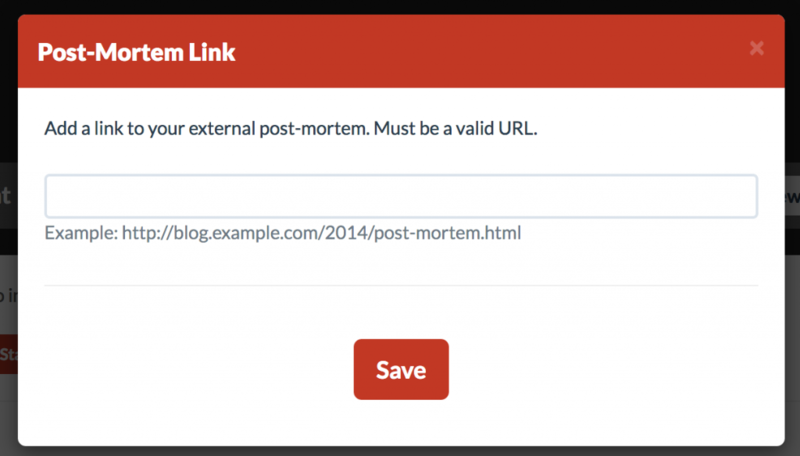 Click the Add Post-Mortem link and enter a valid URL for your post-mortem. The post-mortem link will be added to the incident on your status page.